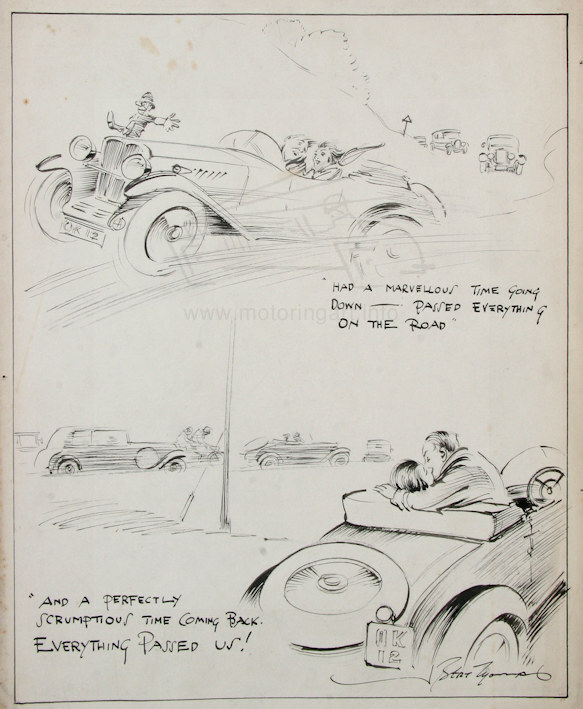 Well known Punch magazine cartoonist (1905-35) who produced many motoring cartoons. He was born in Newport, Monmouthshire in 1883. His father was a monumental mason. He was initially apprenticed to a brass engraver in Swansea, where he started to sell cartoons to local newspapers. He moved to London 1902 joining an advertising agency, very soon he joined Punch magazine working for them from 1905 to 1948. 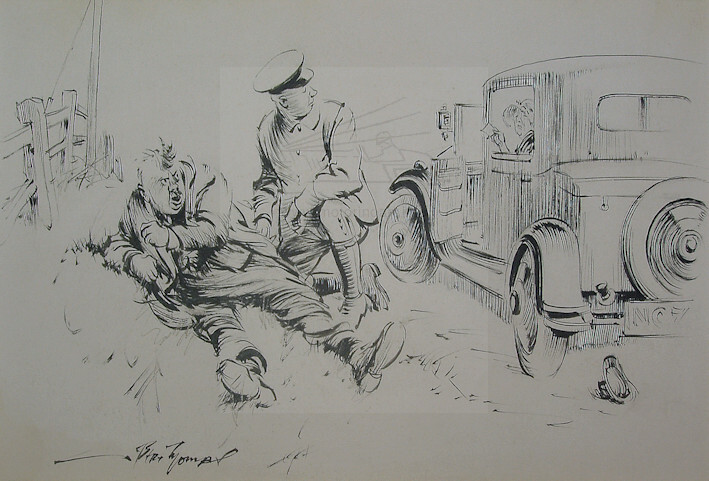 During this period he produced many cartoons some of which were used in the Punch motoring books. He also worked for many of the other contemporary magazines such as Graphic, Humorist, Bystander, Fun and Dispatch. He served in the First World War as was an official poster artist and he did similar work during the Second War. 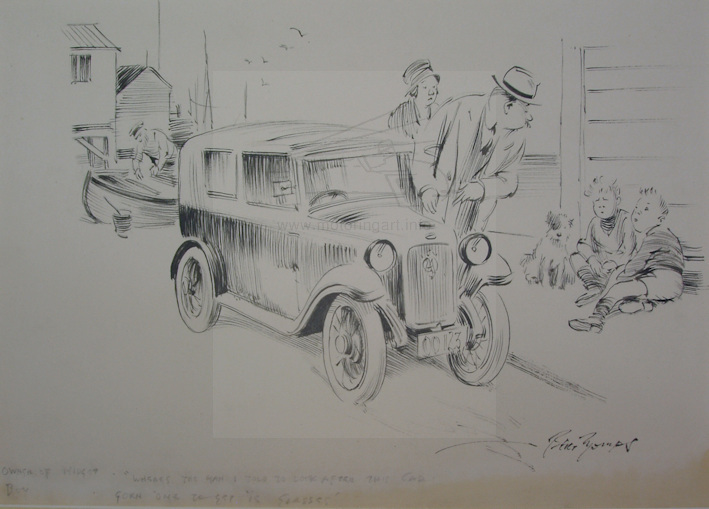 Most of his work was black and white, pen and ink but he also drew with a old stiff brush. Other art was produced using charcoal, pencil, chalk and occasionally watercolour. Dowager re abusive casualty Give him this card Evans. He doesn�t seem to appreciate who knocked him down. 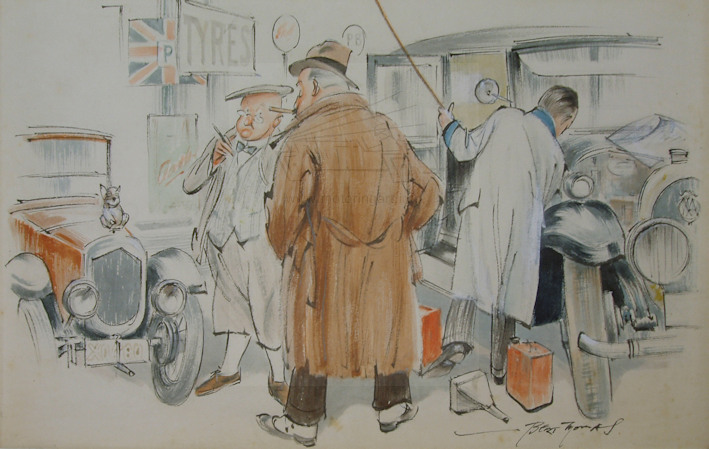 Pen and ink, artwork for The Humorist magazine dated 24th August 1933.